We understand the love of skiing and wanting your little ones to start skiing before they walk. Equipment is expensive, especially for the ever growing child. We are proud to offer a Season Lease Program for your little ones and teens. Our lease program runs through May 1, 2019. Parents rent skis and snowboards at the beginning of the season and keep them all season long. Our Season Lease Program includes freshly tuned and adjusted skis and boots. As your child improves throughout the season, you're able to trade-up and only pay the difference between the gear you are returning and the gear you are renting. 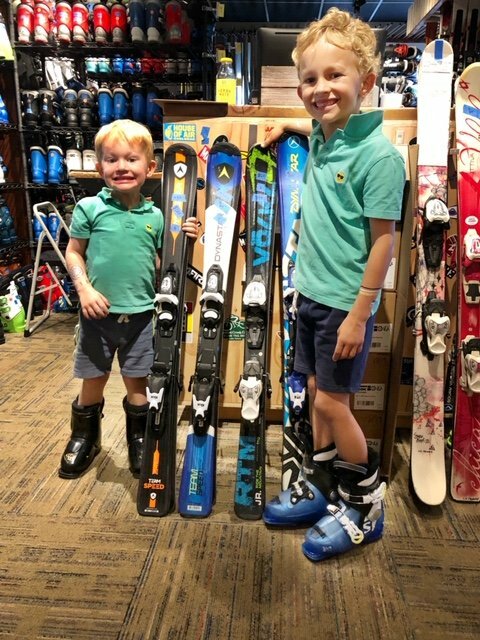 And if your child experiences a growth spurt during the season, we will replace boots and skis free of charge. Basic Season Lease Packages starts at $99. Additional charge for race boots, adult boots, custom orders, twin tips and adult skis. 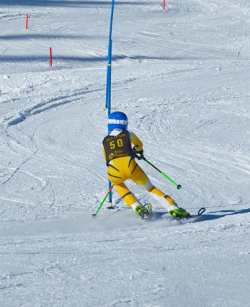 Does your child race on Tahoe League or Far West? Well you do not have to make the long drive to Tahoe for Race Night any longer. We're able to get the same skis and boots at the same discounts racers receive at Race Night. We do not stock all of the skis, so come in before mid- October, we will access your needs and order the equipment necessary to be standing on the podium at the end of the season.